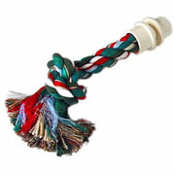 This intermediate perch/ preening toy measures 7" Long x 7/8" Diameter Rope. 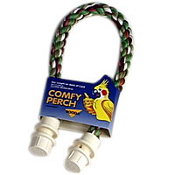 Suitable to intermediate to medium-sized birds. Made by Aspen Pet. Dragonwood Double Bolt Perch - 32"
Java Perch - Y-Branch - Small - 12"